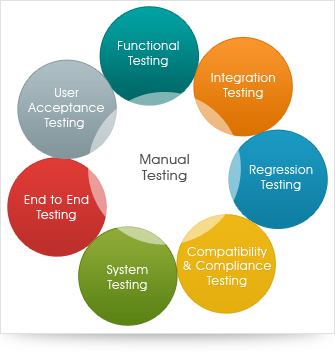 Manual testing is the process of testing software manually with the intention of finding defects. Here a tester acts as an end user, and tests all the required features of the application to ensure correct behavior. At Coromandel Infotech, we follow a rigorous methodology in order to maximize the number of defects that can be found. We follow a systematic approach to design predetermined test cases and generally it involves the following steps. We prepare test plan where Scope, objective, focus, approach for software testing of the project is planned and resources such as people, computers, and software licenses are identified and acquired. We design test cases, identifying clear steps to be followed by testers, with expected outcomes. We assign test cases to testers who has the required domain knowledge of the project to ensure high quality software. Following are the best practices we follow to test the software in an effective way. Testing starts Early: We realize that most of the errors identified in the testing phase, were introduced in the Requirement or Design phase itself. As defects identified in later stages of SDLC are costly to fix than the defects identified in early stage, we usually start testing early. Test case design starts early: We start designing test cases during early phase of SDLC to understand whether all requirements are testable or not. Identify Regression Test cases: To do effective manual regression testing, we identify & group the set of regression test cases well before.